Stewart van Graan has a fishy history. The new GM for Dell in Africa and outgoing MD of Dell SA began his career managing the export of fish for Irvin & Johnson (I&J) in Cape Town. 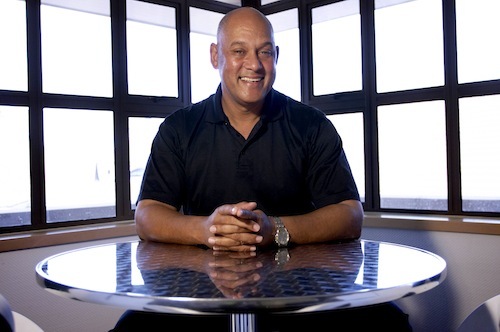 Well known in local IT circles, the likeable Van Graan jokes that his biggest claim to fame is that he went to school — Harold Cressy Secondary School in Roeland Street — with minister in the presidency Trevor Manuel. Van Graan didn’t have an easy start in his professional life. His family was poor, so he was forced to start working as soon as he finished school. He spent six years at I&J in fish exports before taking an interest in the company’s computer systems. Attracted by the world of technology, he enrolled for a one-year course at Peninsula Technikon, which was paid for by American computer company IBM as part of its corporate social investment activities. Van Graan graduated top of his class. He then left I&J to join IBM, where he stayed for the next 23 years, starting as an engineer and progressing through various positions, including marketing and sales. Van Graan says his most memorable moment in his career at IBM was being involved in the launch of the IBM PC in SA in the early 1980s. “I taught OS/2 programming to [IT industry luminaries] Dave Lello and Dana Buys,” he says. But Van Graan had greater ambitions, to move into management. He enrolled for a BCom at the University of Cape Town in 1989 and in 1993, after graduating, moved to Johannesburg where, he says, his career “really took off”. He was appointed as MD of IBM SA’s software division (back then the company was called ISM as IBM had not yet reinvested in the country because of sanctions). He later moved to the US on assignment for IBM and, in 2002, was asked by Dell to establish its presence in SA. Van Graan has run the SA Dell office for the past seven years but was recently appointed to head the PC maker’s operations across Africa. He’s clearly relishing the opportunities the new job presents. Though many foreign companies see Africa as “something of a backwater”, he says the opportunities on the continent are “unprecedented and untapped”. Dell, which has traditionally sold PCs into the corporate market, is focusing much more on the consumer market, Van Graan says. “That’s where the growth will come from,” he says. “In the US, we have played in the consumer space for some time, and we plan to take that global.” The company has established a consumer division to serve both SA and other African markets. It is working more closely with distributors. In the past, Dell insisted on selling direct — it was the model on which the company was founded — but it’s now keen to work closely with channel partners. It recently appointed Tarsus as a distributor in SA. Dell PCs are now available through retailers such as Game and Dion Wired.